Weight loss can feel like you have a mountain to climb. But the challenge felt even tougher for Wilson who suffers from Graves' Disease - an autoimmune problem which affects the thyroid. 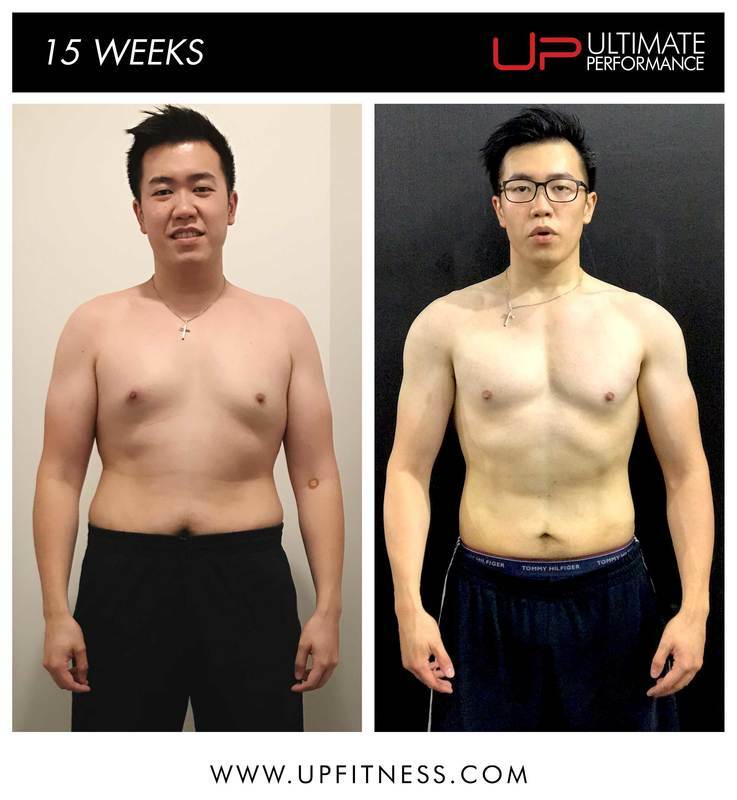 He had struggled to lose weight for years until he came to Ultimate Performance. 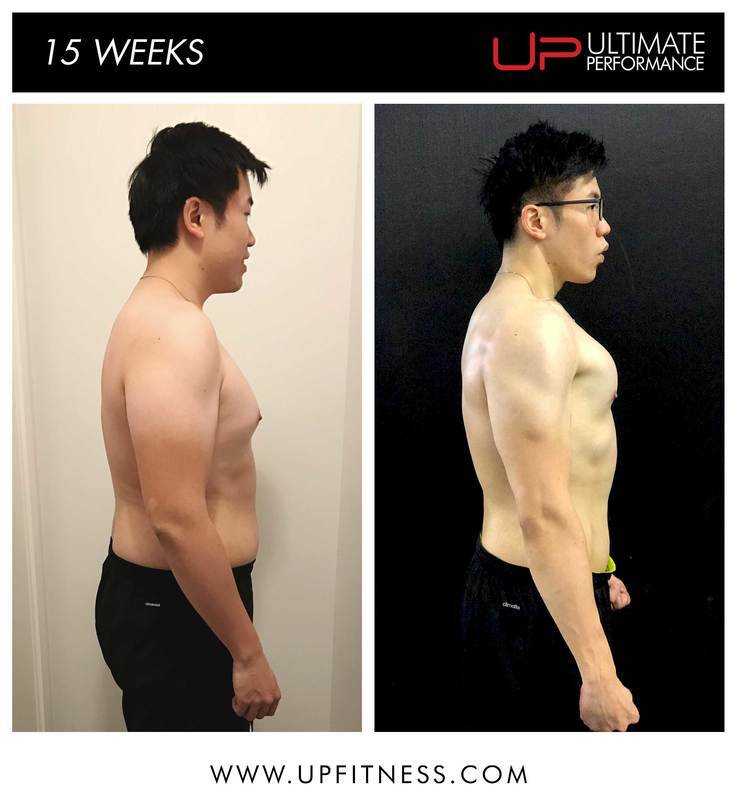 Now Wilson has successfully lost 21kg and torched nearly two-thirds of his body fat in just 15 weeks to reveal his lean new body. 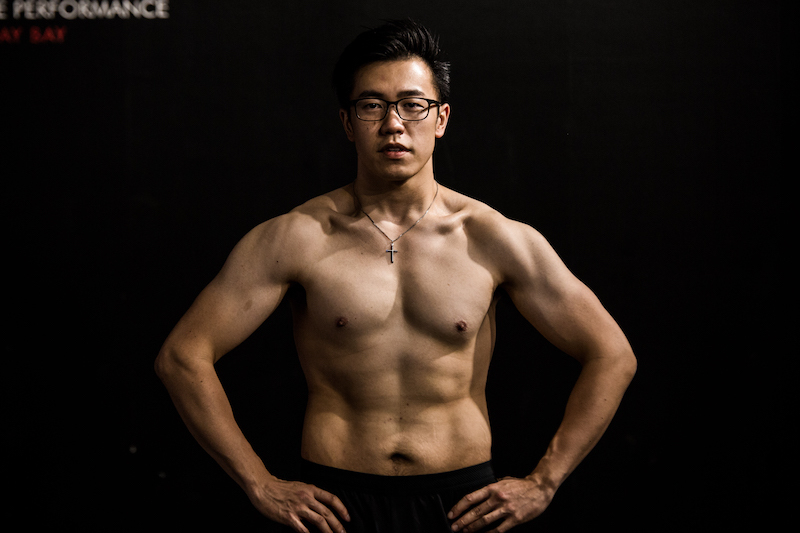 Twenty-eight-year-old banker Wilson is now in the best shape he's been in for many years. "All my friends who have ever come up to me and asked how did I do it, I've told every one of them the same answer: 'Proper training at UP'. "The atmosphere at UP is phenomenal. It makes you want to work out, makes you want to try harder, lift heavier and push further. "Stepping out of the gym after every session, you know you are stronger and fitter." It's incredible how far Wilson has come in just 15 short weeks. To see how much his life and his health have been transformed, you have to understand the condition he was in just four months before. Wilson explains that he had been affected by Graves' Diseases for years and his weight gain had gone largely unchecked. "For more than half a decade, I've been plagued with Graves' disease, a thyroid dysfunction that messes up your metabolism, causes your hands to shake and throw a temper at everyone in my way. "In 2014, doctors decide the condition wasn't going to come under control, so I had the entire thyroid gland removed. "From that point on, my metabolism relies entirely on daily medication and biannual checkups." Wilson's health did not improve it was at that point he knew he had to take some real action to regain his fitness and lose the weight. "All and all, it's safe to say, I was not healthy, and if anyone knows anything about me over the last few years, the word "fit" had nothing to do with me. 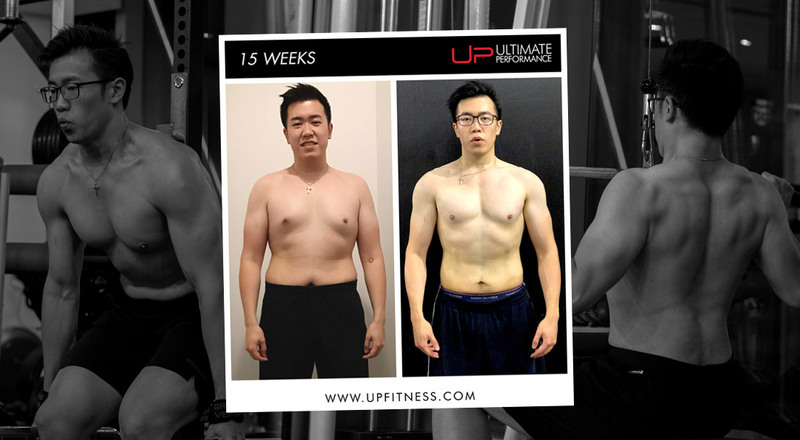 "I understand that none of these are excuses to stay fat, so four months ago I embarked on the journey to a healthier lifestyle with my trainer Samson at UP. "I only had one thing in mind - if I'm gonna do this once, I better do it right. And in 15 weeks, I think what Samson and I had achieved speaks for itself." 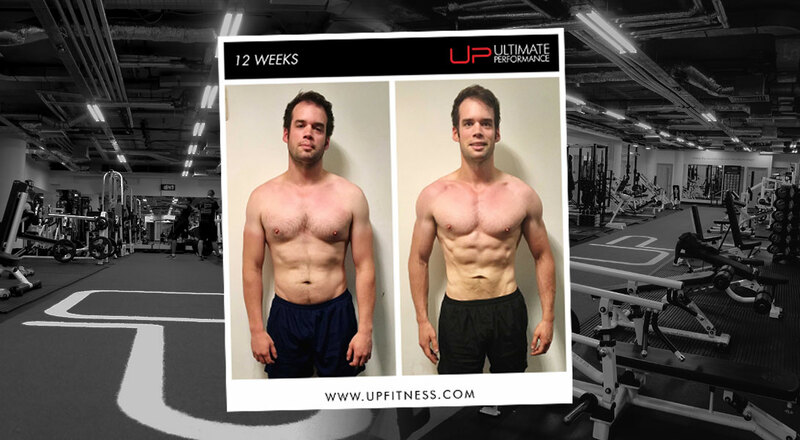 Wilson says he had done personal training in the past - but nothing compared to his 15-week programme at UP. 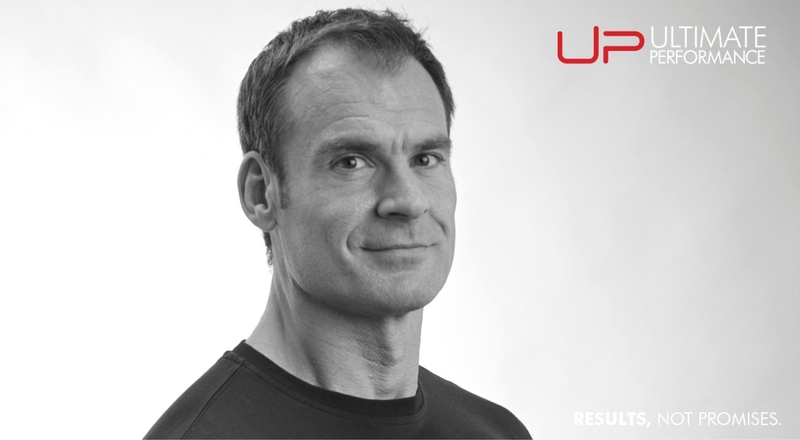 "On and off over the years, I've had experience with commercial gyms and personal trainers," he explains. "Sure they work, but nothing that yielded "real" results. Reading about UP got me excited about training, and decided if I'm going to do this once, let's do it right. "And over 15 weeks, the results Samson and I went beyond all the training I previously had, combined." Wilson understands that it is hard work, consistency, and effort that gets results at UP. 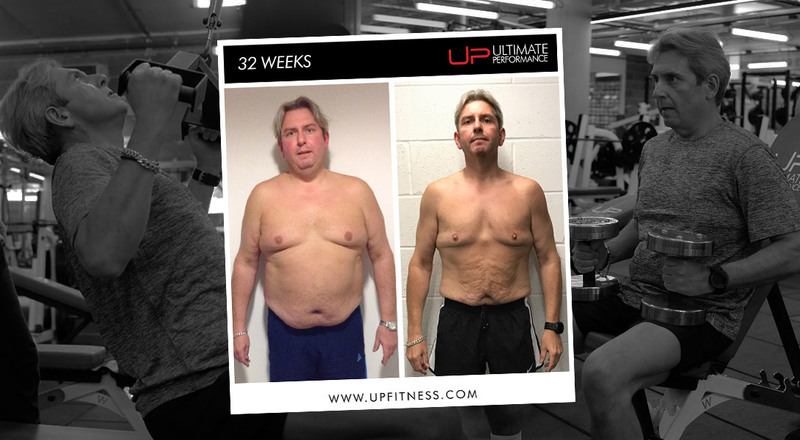 He dedicated himself to the transformation programme and got outstanding results because of it. 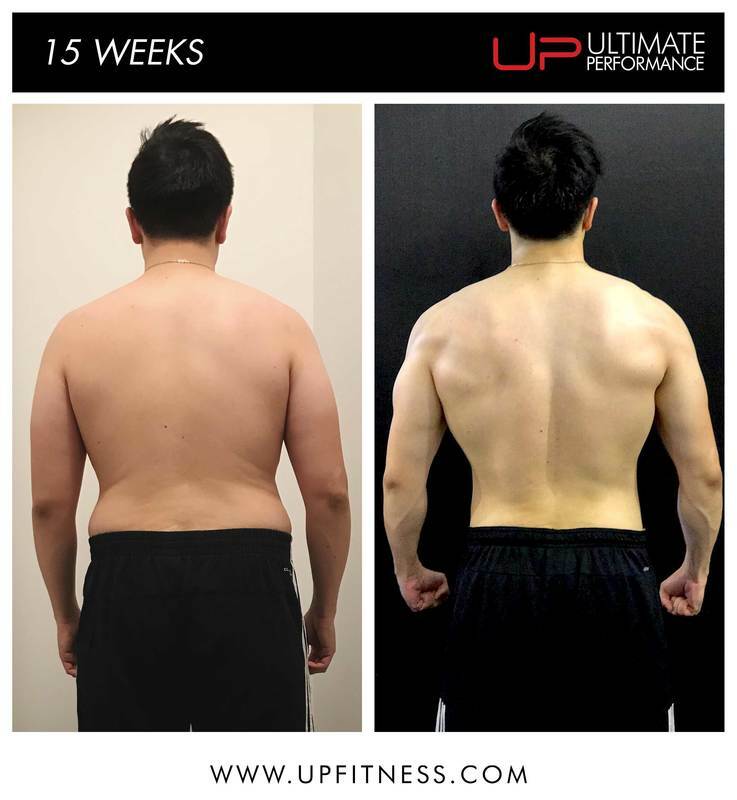 "It's true, there's no magic bullet to weight loss or fat loss, but luckily my trainer and everyone at UP was there to guide me." "This is important in a way that someone is always there to make sure I was on the right path and making positive progress and getting through every plateau, that what I am doing every day is constantly adding up to our end goal. "If I was doing this on my own, I might've given up at the first plateau because I wouldn't know how to get over it." Wilson says the training was tough - but it got him where he wanted to be. However, the biggest thing he took from the process was being able to master his nutrition and control his diet. "The training was anything but easy. No prior gym experience or exercise is going to prepare you enough for it. "Nutritional coaching, on the other hand, is inspirational. It changes your mindset from counting calories to counting your macros, which you will come to realize at the end of your program is more important and a more efficient way to stay in control."